Learn.PokerNews contributor Zachary Elwood is the author of Reading Poker Tells and the recently released follow-up, Verbal Poker Tells. Both titles have received great reviews from professional and amateur players alike, with many regarding them as important contributions to understanding regarding the importance of tells in poker. 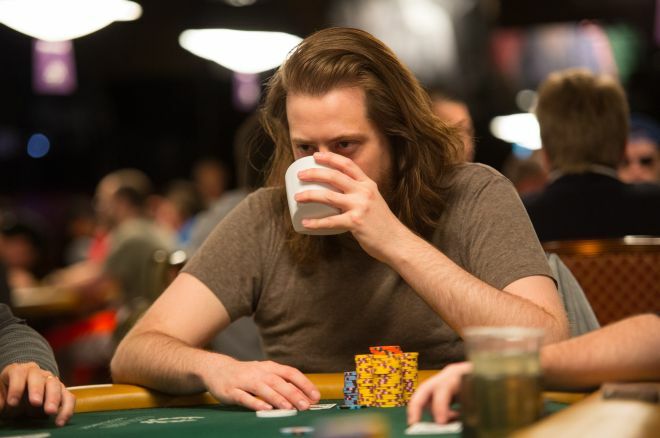 In the process of writing his books, Elwood has created a unique database of poker behavior. Those who follow him on Twitter (@apokerplayer) well know how he’s pored over countless televised poker programs as part of his research, often sharing links with his followers to interesting clips from the World Series of Poker, the European Poker Tour as well as from old episodes of Poker After Dark and High Stakes Poker. From these shows Elwood has logged any interesting behavior in his database in an effort to be able to compare how the contexts in which these different behaviors show up at the tables. Elwood created the database mainly for his own books and articles, but he recently found another use for it. Pro poker player and author Jonathan Little is holding several instructional seminars in Las Vegas this summer, and he invited Elwood to do a presentation on poker tells as part of the instruction. Elwood realized he’d be able to use his database to create a presentation that featured a lot of televised poker footage. I had a chance this week to chat with Elwood about the upcoming seminar and how he plans to share some of what he’s discovered while researching tells. Learn.PN: What will be different about this poker tells presentation you’re doing? Zachary Elwood: As far as I know, it will be the first time someone’s used so many real-world video examples to teach about poker tells. While some people may have used a few clips before, this is the first time I think someone’s really dug into the footage and used a lot of examples of certain types of behavior. I think showing a lot of concrete examples can really give a sense of what some of these patterns look like and how common they are. Also, I’m showing a lot of examples of behaviors from the same players, which means you can see, for instance, that this is how this player looks with a strong hand, this is what this player does with a weak hand, and so on. So I think that’s really unique and instructive, too. LPN: Why do you think this kind of instruction hasn’t been done much before? Elwood: Part of the reason is that it’s very hard to do. If I hadn’t logged hundreds of hours of footage and created a system of logging players’ behavior, I wouldn’t be able to do this. But because I’ve got this database, I can go through and search for certain behaviors — for example, “standing up” or “smiling” or “staring” or whatever it is I want to look for. It is time-consuming, though. I’ve spent maybe 90 hours so far working on this two-hour seminar and I’m still not finished. And that’s not to mention all the time it took me to log all that stuff in the first place. LPN: What are some examples of the kinds of poker tells you’ll be focusing on? Elwood: I do only have two hours for this presentation so it is admittedly not super in-depth. Also, I’ve tried to focus it on stuff I think is most useful for tournaments, because I think the audience there at the WSOP will be mostly tournament players. So I’m focusing on behaviors like eye contact (how much opponents look at you in certain situations), figuring out real smiles from fake smiles, immediate calls, the speed of betting, uncertainty and hesitation in betting, and also some verbal patterns. LPN: Can you show us an example? Elwood: Sure. Here is a video I made for CardRunners in which I analyze the behavior of the 2011 WSOP Main Event champion Pius Heinz during the final table. I think Heinz had a pretty strong tendency with what I call post-bet eye contact — in other words, how much he looked at opponents after he made a bet. Heinz tended to make more eye contact with opponents when he had a weak hand and make much less eye contact when he was strong. This is just one type of eye contact pattern, though; a lot of people will have different patterns. In the class I’ll stress how important it is to observe your opponents first before acting on their behavior. LPN: That’s terrific to see in action, and your discussion helps show what’s going on with those patterns. Elwood: I also made a kind of fun video where I assembled a bunch of televised clips of players taking drinks. I didn’t think I’d find much in the way of useful patterns, but mainly just thought it’d be funny to put it together. This won’t be in the seminar, but I think it shows the power of the kind of database I’ve assembled because I can go through and look for these kinds of patterns and see how they show up. It’s funny... this was one of my more popular videos I put up. Apparently people search for “What does taking a drink mean in poker?” a lot. LPN: So when are the seminars, and how can people attend? Elwood: The upcoming seminars are on June 14, July 5, and July 7. Information can be found at Jonathan Little's instructional site, Float the Turn. The cost is $499, but you can get $100 off with a bonus code on my site. Also, attendees get a few bonuses for signing up. I should mention the poker tells presentation is just one part of it — Jonathan Little and Elliot Roe are also doing presentations, and Dr. Tricia Cardner did one last week. Thanks to Zachary for taking the time to discuss the seminar and share a taste of what he’ll be sharing with those who attend. Zachary Elwood’s books Reading Poker Tells is available via Amazon as is his new title, Verbal Poker Tells. Visit Elwood’s website to learn more about both books and read more advice and analysis regarding tells, and follow his entertaining Twitter account @apokerplayer. Meanwhile, for all the latest here at Learn.PokerNews, follow us on Twitter @LearnPokerNews! Find us as well on both Facebook and Google+!